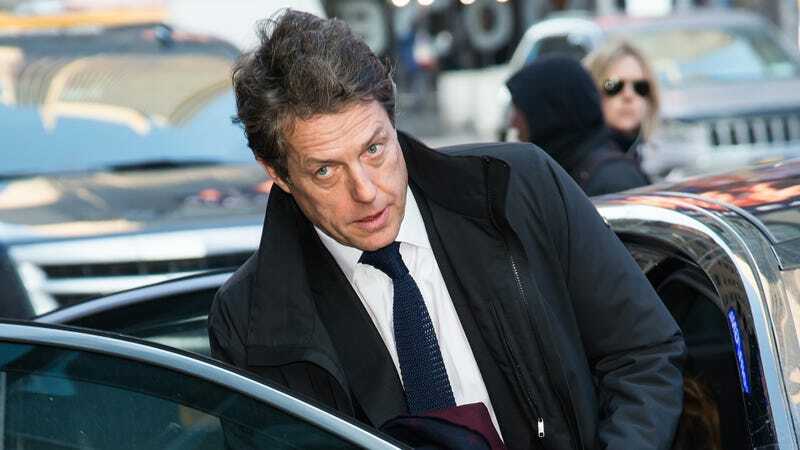 Hugh Grant is sorry to bother you, but, oh dear, it appears someone broke into his car and stole a script and, well, you see, he really needs it back. The affable English actor revealed as much on Twitter last night, appealing to his followers for help while offering what we can only presume is a sweet, slightly bashful grin. “In the unlikely chance that anyone knows who broke into my car tonight and stole my bag, please try and persuade them to at least return my script,” he wrote. “Many weeks worth of notes and ideas. And perhaps my children’s medical cards.” Anyone with information can contact his West London production company, Coach Films. While it’s unclear what script was looted, one might assume it’s connected to one of his upcoming projects, be it HBO’s The Undoing or Guy Ritchie’s Toff Guys. And, hey, maybe it’ll inspire Grant to write a romantic comedy of his own, one where a sweet, bumbling man falls in love while looking for the script that was stolen from his car. We’d watch it.